For some reason on Sunday's I crave bubble tea. 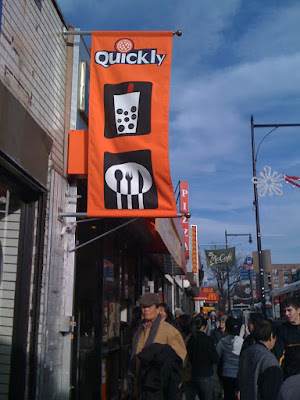 I blame my new love of Flushing Queens for this obsession. 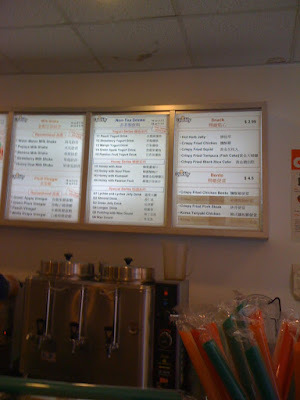 I'm not too bias on where I purchase my bubble tea but there's one place near the train station called Quickly that never disappoints me when it comes to taste. 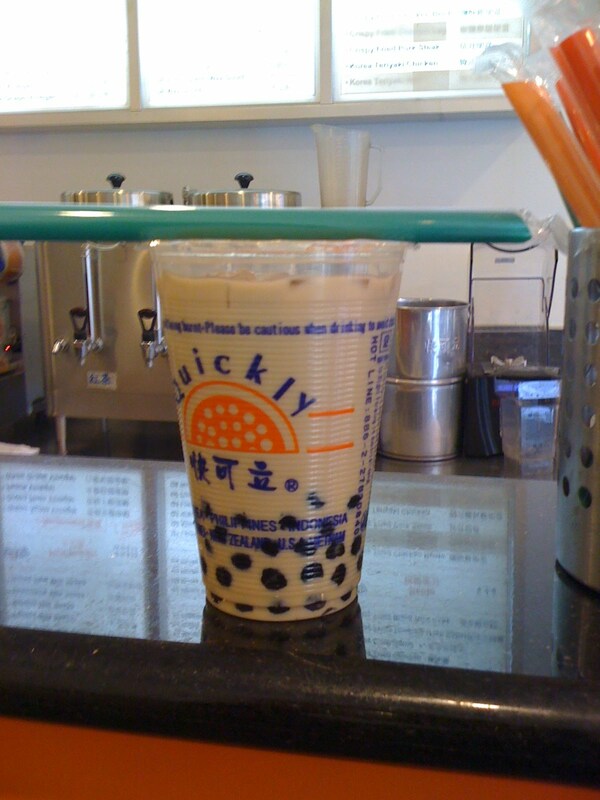 My preferred bubble tea is the black tea and I usually just get a small to soothe my craving. 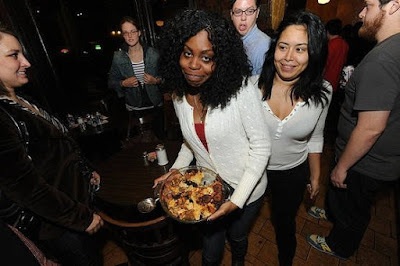 A month ago (give or take a few days) I participated in a Brooklyn's Fifth Annual Casserole Party hosted by Casserole Diva Emily Farris held at Brooklyn Label in Greenpoint. 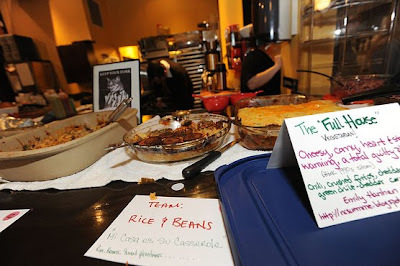 I paired up with my friend Kelly and we stormed through the competition as "Team Rice & Beans". Kelly being the Rice and I the beans. 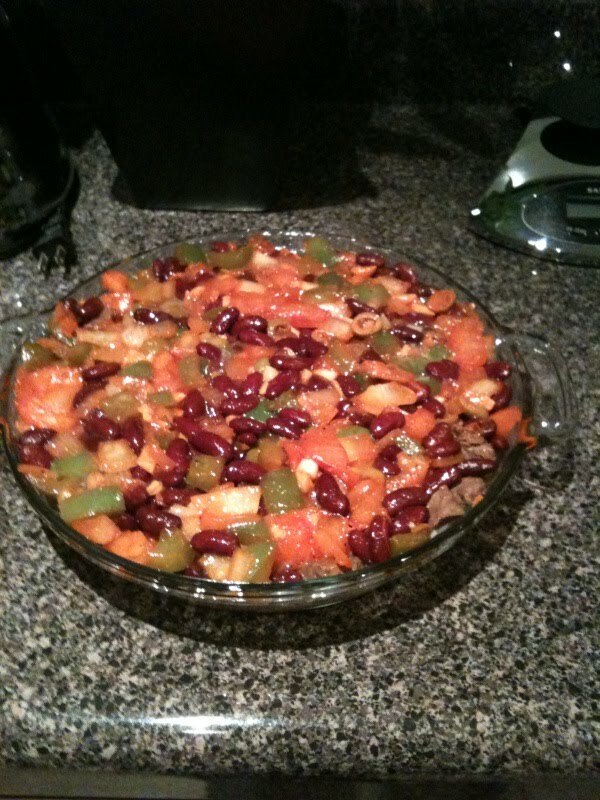 Her and I sat down and decided to create an "ethnic" casserole. We wanted to turn a traditional dish and add some our Caribbean and Latin heritage flavor. Our slogan was "Mi casa es su Casserole". 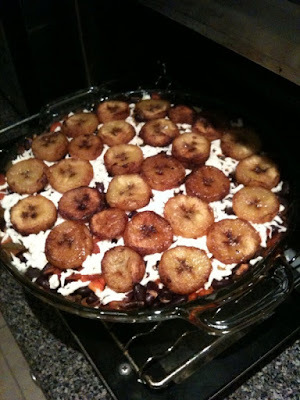 Our casserole included white rice (made Spanish style), red beans, steak, home made sofrito, queso blanco and topped it with maduros (soft plantains). Kelly and I did not follow a typical casserole recipe, we basically free-styled it. The casserole came out pretty good. We came in the competition as rookies. Between the two of us it was our first casseroles ever! 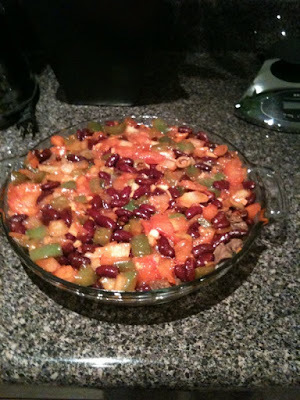 #1 - Add plenty of cheese when making a casserole. #2 - When competing in a casserole competition the contains rice, cut the casserole in slices - so the judges have a fair amount of your casserole. Overall, it was a good time, I got to taste a lot of different casseroles like fried chicken casseroles, casserole's topped with nachos, cornbread casseroles, sweet potato casserole, and duck confit casserole (which was the winner). When I spotted the duck confit I remember telling my friend "Oh no someone made duck - I think they're gonna win". And the winning casserole was the Duck Confit casserole, which was actually pretty tasty. Today I made a sweet potato pudding pie for the first time. It was rather easy to make. Every year I have sweet potato pudding pie at my parents house (made by my mother or my grandmother) but this year I made the pie. I got the recipe from About.com (click on the link below to see the full recipe). I took a few pics of the all the ingredients gathered in my kitchen. It took about an hour and a half to prepare the whole pie. 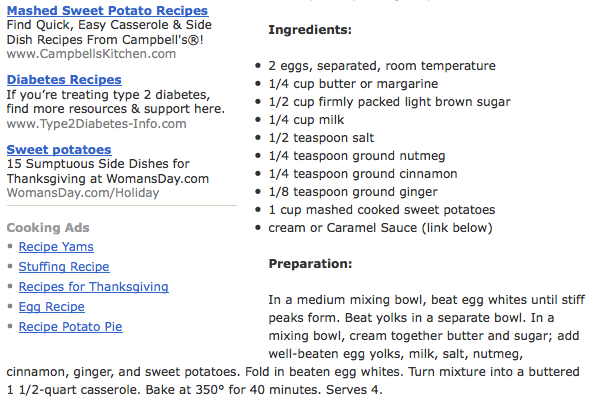 My advice if you decide to make this is to follow the recipe and the pie will turn out perfect. 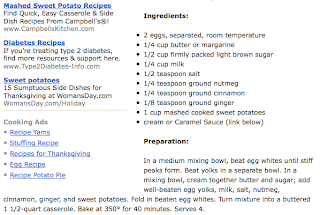 I liked this pie but I think I should have included some vanilla extract to it. But overall I really enjoyed making it. Just wanted to wish you a happy thanksgiving. I am thankful to have such loyal readers of this page. Today I will be spending time with my family, stuffing my face with macaroni and cheese and watching the entire season 4 of Dexter. I hope everyone enjoys their day no matter how or who your spending it with. Here's a cute thanksgiving commercial. I can totally see myself having the same trouble with such a large turkey. In the spirit of giving thanks....this past week(end) I celebrated my 25th Birthday. And I want to give a special thanks to everyone who helped me celebrate. I'd like to also thank all of my blog readers and facebook friends. 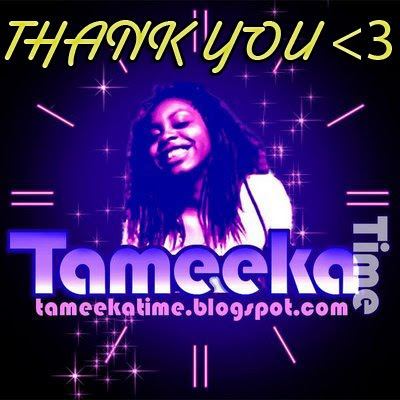 And for those who didn't get a chance to have a lil Tameeka Time during the week of November 20th. I hope these video clips make you feel like you were there. Tameeka Time's Korean BBQ Times from Tameeka Time on Vimeo. Now that you've met everyone... now it's time to hear us sing. 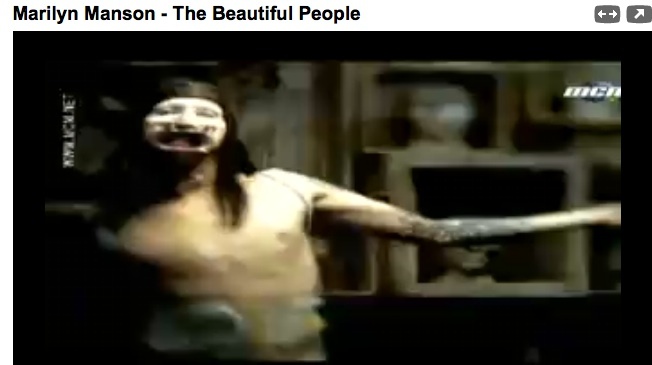 (The place was pretty dark but you can make out who's who and who's singing what). Tameeka Time & Friends Karaoke Fun from Tameeka Time on Vimeo. Once again, thanks for all the love. In my mission to organize my life, I'm starting out with organizing the photos in my iphone. According to my iphone, this past summer and this current fall I have been to a lot of restaurants and I've taken a lot of photos of these places and their food. So.... I decided to start posting lil blurbs about the restaurants I've been to. 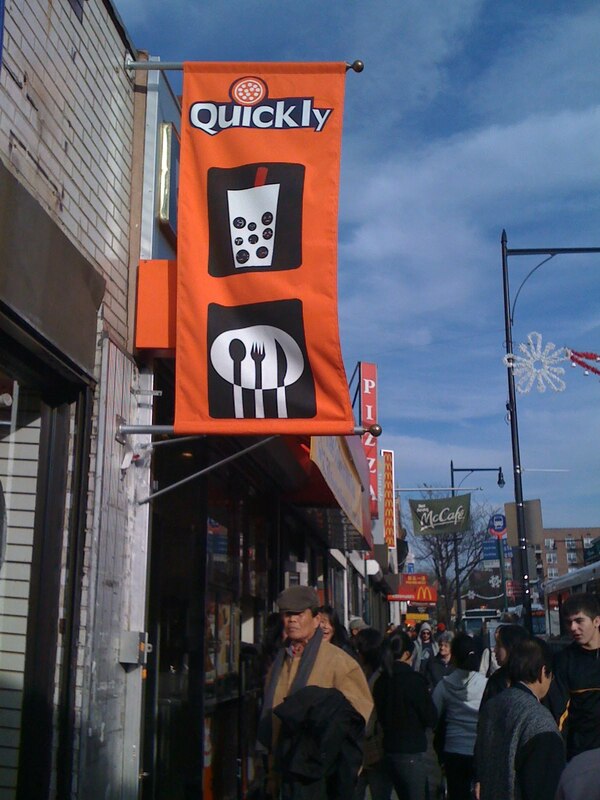 It's located on 7th avenue between 22nd & 23rd Street. 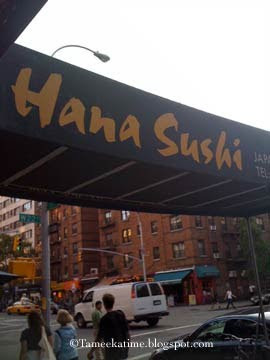 It's a cool sushi spot if you want to catch a quick dinner. 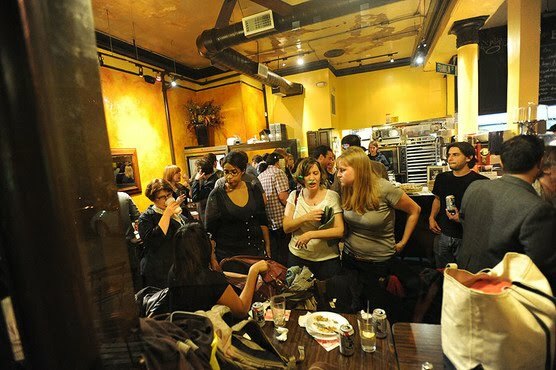 It's not a fancy place and the vibe tends to be after-work casual. I've also gotten lunch as well as take out from this place. The lunch is reasonable but I recommend sitting and eating in here. Something tends to get lost in transit when your favorite rolls come in a plastic container. 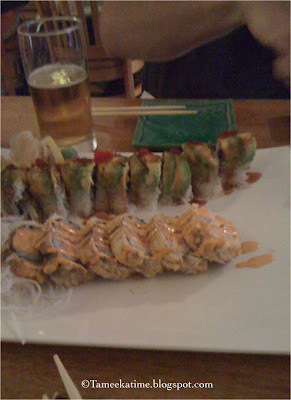 Overall, the rolls were delicious and the service was great. I need your help. Myself and artist Christian Cortes entered our graff/art videos into this contest for Babelgum. We are going for the Best Street Art Video Award and the winner will receive a cash prize of $ 5,000 and our video will be screened in Times Square. So if you can just click on any banner in this post and vote for the video's I shot and edited (you don't even have to sign up - just vote). Votes are counted daily so share this with all your friends) Help us win this!! Babelgum Metropolis is looking for the globe’s best and edgiest artists for the world’s biggest art show (probably!). Winners will have their work shown on giant advertising screens this December in Times Square, the neon heart of New York City. Not only will you share your artwork with millions in the world’s contemporary art capital, you’ll also enjoy the kudos of being a maverick art squatter among New York’s most expensive advertising real estate! Overall winners will be chosen by iconic arthouse actress and video artist Isabella Rossellini and an illustrious panel of judges from the art world. See the "Meet the Judges" panel on the right to find out more. Here's the 5th installment of Cortesnyc's Puerto Rico graffiti tour. I really enjoyed editing this video mostly because of the documentary portion. In this one Cortes got a chance to interview graff and tattoo artist Blen167. The interview takes place in Blen's tattoo shop and we've even got a few shots of him tattoo'ing another artist; John Smalls. Check it out. It's an interesting video. 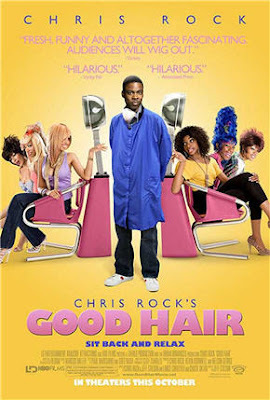 I finally made time and went to the 34th Street AMC Loews Theater and watched Chris Rock's documentary Good Hair. I was pleasantly surprised by the crowd that was viewing the film. 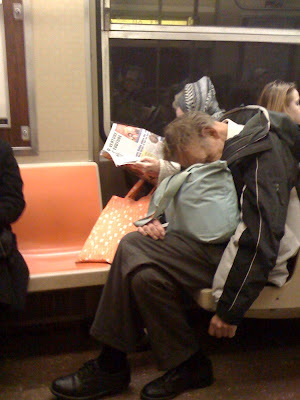 It was a mixed bag of Whites, Blacks, and Asians. I was also pleasantly surprised by the film itself. I liked the film for what it was. I'm glad that Chris Rock is trying to inform people about black hair since it is a topic/issue in every black woman's life. I did leave the theater thinking about my own hair situation, which means Chris Rock did something right. A well produced documentary should make the viewers (or at least one viewer) think about their own situation and how they can relate to the film. There were a few aspects of the film that I did like and some that I felt were not necessary (or it's role could have been shortened in the film). Such as the topic of "natural hair". Rock spoke about every type of weave, perms, wigs, and styles but he didn't inform people that not all women have to perm their hair or wear wings. People should know that there are alternatives. There were scenes of Rock interviewing women in various salons getting their hair weaved, braided, and permed. I would have liked him to ask every woman "why don't you just go natural and leave the "creamy crack" (perm) alone." The topic was bought up but not discussed heavily, I think that would have made for some great on screen conversations amongst the women. The film was heavily casted with B & C list celebrities (and maybe an A list celeb or two). But to me that added a bit of charm to the documentary. I think it helped the female audience relate to their favorite r&b singer or black actress. I was surprised to see rapper/actor Ice-T in this doc. I forgot that he was always known for his luxurious pimp like style. He surely added a masculine touch to the interview portion. Everyone gave good, light hearted, even humorous interviews. The only one that bothered me was Raven Symone (Olivia from The Cosby Show). She was a bit awkward and came off a little too obsessed with her weaves and when Chris Rock asked her about starting her own line of hair, she responded like she was making a joke but being half serious, it was just weird. As for the "hair show portion" of the film, it was well spread out but it played a bigger role than it should have especially in a film about "good hair". The characters that were followed didn't even talk about what "good hair" meant to them, they were just worried about their performance in the hair show not how their models hair styles looked. So that was a bit odd to me. There were two things that I learned from this film. I did not know that women were allowing their 3-year old daughters to get their hair permed. That's insane. I was shocked when Chris Rock was talking to little girls and they were taught to think that perming your hair is what you are supposed to do. I also learned that Indian hair is a huge commodity amongst black people. I did know that women were purchasing and wearing Indian hair but I just didn't know it was so expensive and in such demand. There are even stories of a young Indian girls getting their hair stolen off of their heads (in India not America). Over all, I think this documentary is worth seeing. Everyone can learn about the "black hair struggle". I am not too fond of Rock's comedy (especially in this film) but he did make a great point that "what's on the inside is what really matters." **If I happened to convince you to see this film and you haven't watched the trailer yet, check it out here. 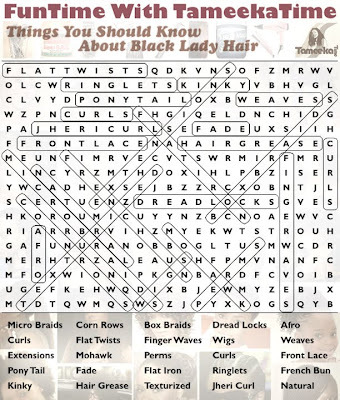 Hello lovely people,,, I'm now back on track with my blogging and here are the Black Hair Word Search solution. I've included brief descriptions of all of the words in puzzle for those who still wonder about black hair terms & a few YouTube videos to visual it. Hope this helps and informs. Also, be sure to share this post with all your lady friends.